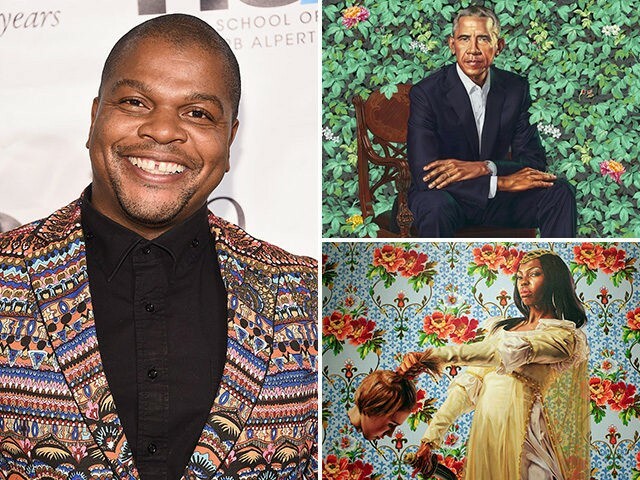 Who Is Kehinde Wiley — Artist Behind Barack Obama's Presidential Portrait? Wiley is the first African-American artist commissioned to paint the portrait of a U.S. president. He told The Guardian in 2017 that he viewed the project as a “huge responsibility.” Its background — a wall of bright leaves — breaks from the conventions of previous presidential portraits, which often depict the Commander-in-Chief before a darker, earth-toned background or inside a room of the White House. The official portrait of First Lady Michelle Obama, created by Baltimore-based Amy Sherald, was also unveiled at the museum on Monday. One of Wiley’s older paintings has received renewed attention, as it provocatively reimagines a Renaissance-era painting of the heroic biblical figure Judith beheading the evil enemy commander, Holofernes, and thus saving her people. Wiley’s work, titled “Judith and Holofernes,” shows a black woman holding a sword in one hand and the disembodied head of a white woman in the other. 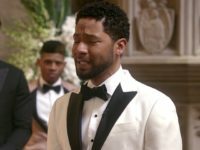 Several outlets, including TheWrap and the Washington Examiner, drew attention to the piece’s viral revival on social media. This particular painting comes from a collection called “An Economy of Grace,” released in 2012. A second painting in the collection bearing the same title (sources differ at times between “Judith and Holofernes” and “Judith Beheading Holofernes”) depicts its hero in a strapless blue dress rather than a regal, gloved gown. “Wiley is known for taking the saints, prophets, and heroes of Old Master paintings and replacing them with black men and women dressed in hip-hop or African attire,” the Atlantic Journal-Constitution reported. “What I choose to do is to take people who happen to look like me — black and brown people all over the world, increasingly — and to allow them to occupy that field of power,” Wiley told CNN in a 2015 interview. Former President Obama praised Wiley’s style at the Smithsonian Monday: “What I was always struck by whenever I saw his portraits was the degree to which they challenged our conventional views of power and privilege,” he said.